A fragment of the meteor believed to contain fossilised algae. Photo: University of Cardiff. Cardiff University astrobiologists say “fossilized biological structures” in a Sri Lankan meteorite are extra-terrestrial in origin. Critics demand more credible tests, telling ET and panspermia fans it’s too early to celebrate. The UK researchers say that tiny algae-like fossils found in meteorite fragments that landed in Sri Lanka last year can’t have originated on our planet, according to the study published in the Journal of Science. The fragments were found after sightings of a fireball in the Sri Lankan province of Polonnaruwa in December 2012, and were subsequently analyzed by local scientists. 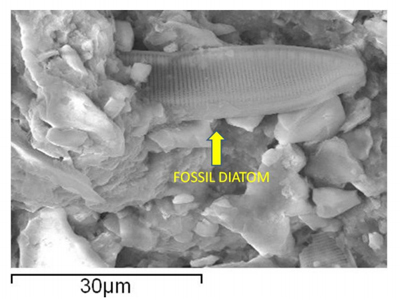 The initial microscopic observations revealed so-called diatoms inside the meteorite fragments, which scientists found to be similar to an ancient and largely extinct type of marine algae. Cardiff University was asked to proof-check and analyze the findings, which it did, concluding that the samples were “unequivocally meteorites” and that the analysis of the material structure showed algae-like fossils were native to it. Ruling out “recent terrestrial contamination” was critical for the research. 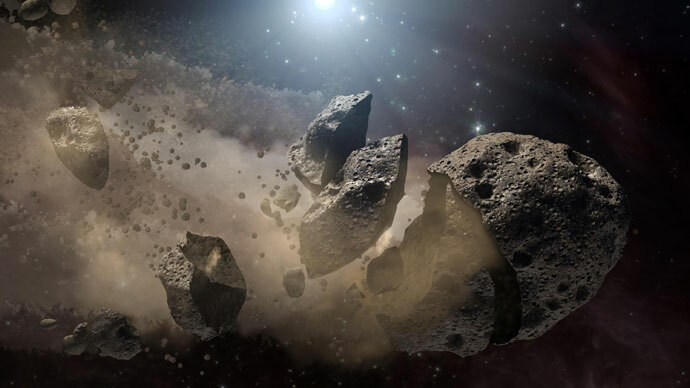 It has typically destroyed all the previous hopes of proving the panspermia theory, which says life on Earth could have arrived in a meteorite. 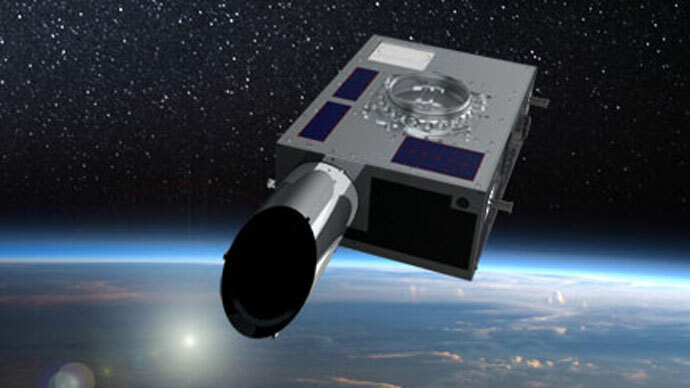 To support the first-ever evidence of the extraterrestrial life found in a celestial body, the researchers used sophisticated methods such as X-ray diffraction, triple oxygen isotope analysis and scanning electron microscopy. “Results of X-Ray Diffraction (XRD) analysis, Triple Oxygen Isotope analysis and Scanning Electron Microscopic (SEM) studies are presented for stone fragments recovered from the North Central Province of Sri Lanka following a witnessed fireball event on 29 December 2012. The existence of numerous nitrogen depleted highly carbonaceous fossilized biological structures fused into the rock matrix is inconsistent with recent terrestrial contamination. 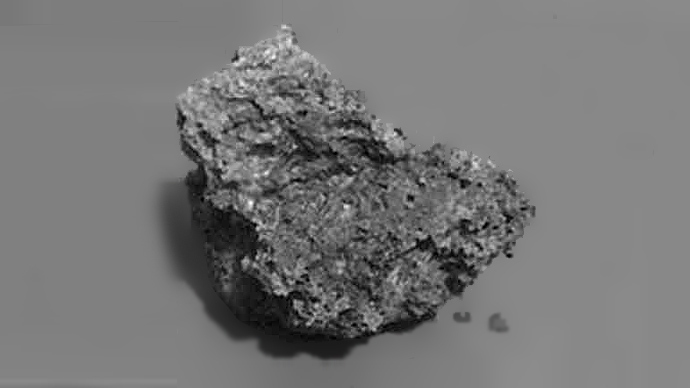 Oxygen isotope results compare well with those of CI and CI-like chondrites but are inconsistent with the fulgurite hypothesis,” Cornell University Library website quotes the study on the Polonnaruwa meteorite published in the Journal of Cosmology, Volume 22, No.2. March 2013. But critics have doubted the credibility of such conclusions, saying that not all the necessary tests have been carried out, and thus there’s still possibility that the diatoms got inside the rock on Earth. Astronomer and author Phil Plait, known for his revelatory articles on Bad Astronomy blog, even went as far as to suggest the rock in question might not be a meteorite at all, and cited experts supporting his point. 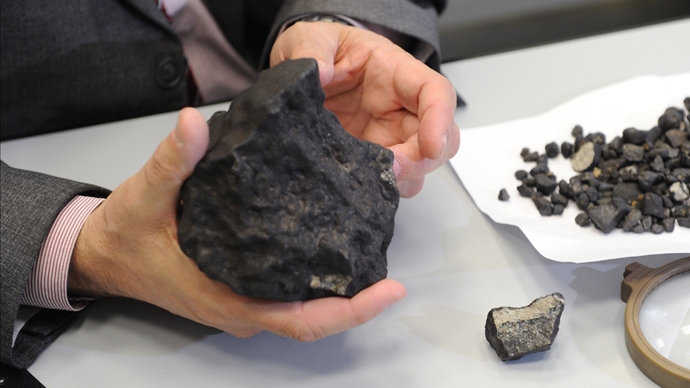 “They don’t establish the samples they examined were actually meteorites. 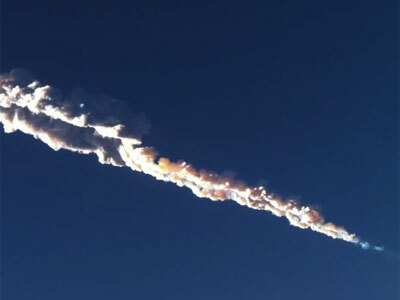 They don’t establish they were from the claimed meteor event over Sri Lanka in December 2012. And perhaps most telling, they don’t eliminate the possibility of contamination; that is, diatoms got into the samples because those rocks were sitting on the Earth where diatoms are everywhere,” Plait summed up in his blog post. 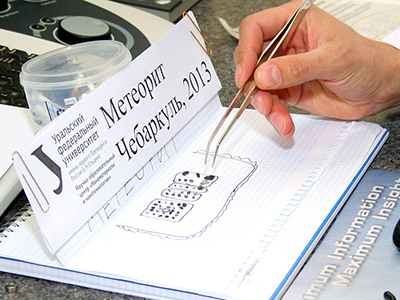 What made critics wonder is the fact the researchers did not consult any independent experts in meteorites or diatoms to confirm their suggestions and tests results. The placement of the publication has raised further suspicions, as the Journal of Cosmology is not held in high esteem in scientific circles, and has been accused of publishing “pseudoscience” articles. Others said, even though it looks like serious research, and there’s an abundance of technical details in the study, such “extraordinary claims” still need confirmation from research groups around the globe before they could be taken seriously.